&bull; Real-time Filter &ndash; Preview filter effect before taking pictures or shooting videos. 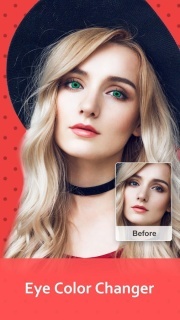 &bull; Amazing Filter &ndash; Massive filters available when photographing or photo editing. &bull; Photo Editor &ndash; Beautify your pictures with emoji, doodle, text and more. &bull; Fastest Capture &ndash; Tap! Snap! Z Camera captures it all in 1s. &bull; Simple Interface &ndash; Intuitive interface. One swipe to switch between photo and video. &bull; HDR &ndash; Improve images captured in low-light and backlit scenes. &bull; Beauty Selfie &ndash; One tap to beautify your selfie. &bull; Private Gallery &ndash; Keep your private photo safe. &bull; Tilt-Shift &ndash; Tilt-Shift enables you to control perfect lens blur. EBay Buy And Sell Thi..